Micromax Unite 3 that went on sale at Infibeam in April is now officially launched by the company for a price of Rs. 6,999. The official site also listed that it comes with data offer from Vodafone. This is the third handset in Unite series. Highlight of the handset is that it supports multiple languages and another feature is that it lets users translate messages in to languages of their choice. 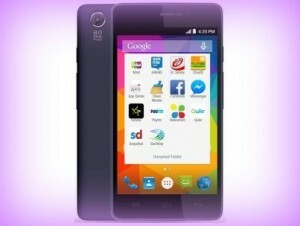 Ahmadabad: Micromax Unite 3 handset comes with 4.7 inch display having 480 x 800 pixels. It is powered by quad core MediaTek MT6582M processor whose clock speed is 1.3 GHz. The processor is paired with 1 GB RAM and the internal storage is 8 GB. There is facility to expand memory up to 32 GB via micro SD. It comes equipped with 8 megapixel primary camera and 2 megapixel front facing camera. It supports dual SIM. The handset comes out of the box with Android 5.0 Lollipop operating system. Connectivity features include WiFi, GPS and 3G. Battery under the hood is 2000 mAh battery and is claimed to deliver up to 8 hours of talk time and 220 hours of standby time. Micromax Unite 3 supports multiple languages. It supports at least 10 regional languages. It also comes loaded with many apps such as Newshunt. Quicker, Snapdeal, swiftkey, Askme Chaatz and so on. This entry was posted in Launches, Tech on May 28, 2015 by Rakesh.